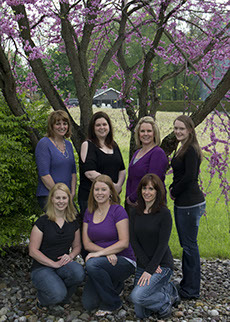 You will find several people involved with your oral therapy in our practice. Because this concept may be new to you, an explanation will probably help you understand the logic behind this type of practice. You will be treated by several categories of clinicians on the oral health care team. Each team member accomplishes his or her [art of your therapy to an optimum level. • Your Dentist: Dr. Shannon Brophy-Wolter is the person responsible for your overall therapy. • Dental Hygiene: Our registered dental hygienists will accomplish your oral prophylaxis treatment, and the doctor will always examine you at the completion of your appointment. • Expanded Function Dental Assistant: Some clinical tasks accomplished for you in the past by a previous dentist will be done by our qualified experienced dental assistants. You will enjoy the professionalism and efficiency of these people, and their clinical activities will help to keep the cost of your treatment as low as possible. • Other Specialist Dentists: You may be referred to an endodontist (root canals), periodontist (gum and bone), oral surgeon, orthodontist, pediatric dentist (children), or prosthodontist for special therapy. After the completion of the special therapy, you will probably come back to us for routine check-ups or further treatment. The team approach allows each team member to repeat their clinical tasks on more patients, thereby developing high proficiency. We pledge to provide the best possible oral care for you!